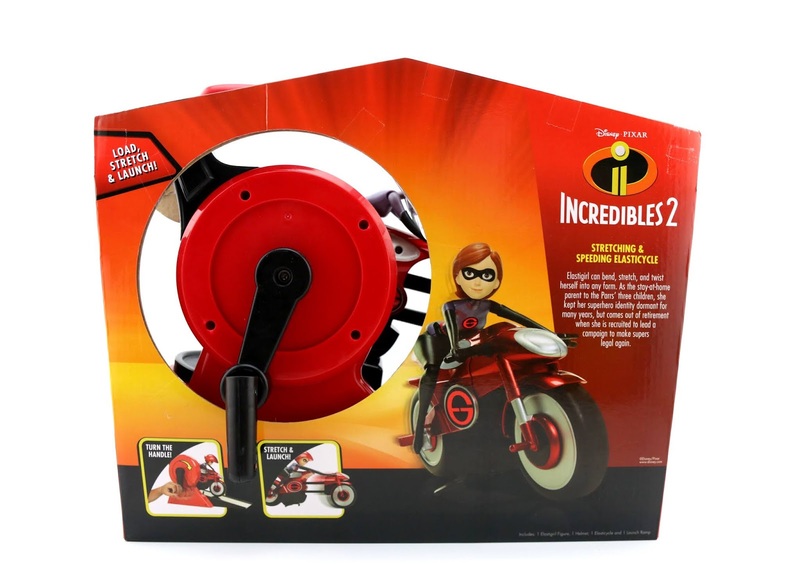 Inspired by the brand new film (hitting theaters in less than two weeks), here we have this super Incredibles 2 Stretching & Speeding Elasticycle from Jakks Pacific! This thing is totally wicked. 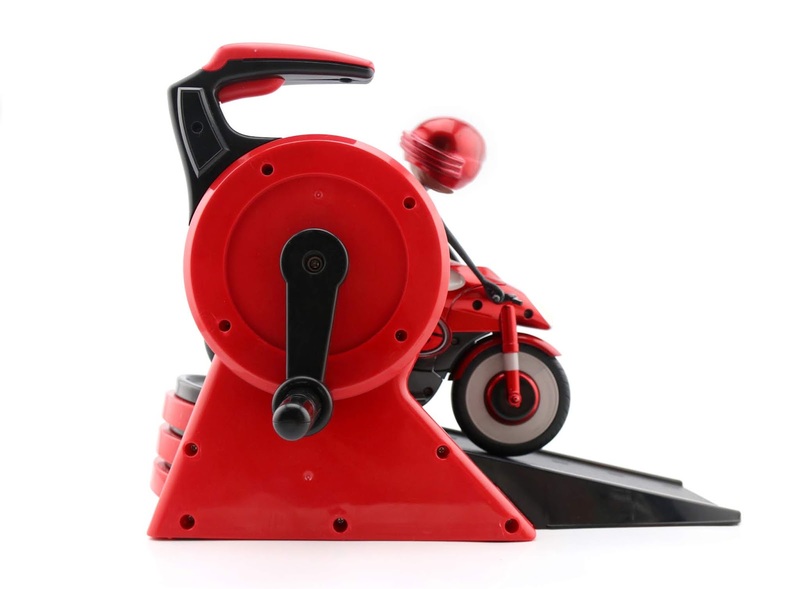 For all you vintage toys fans out there, you might notice the similarities between this and the popular Evel Knievel Stunt Cycle from the 1970's. It's cool to have a modern day version of that same concept! 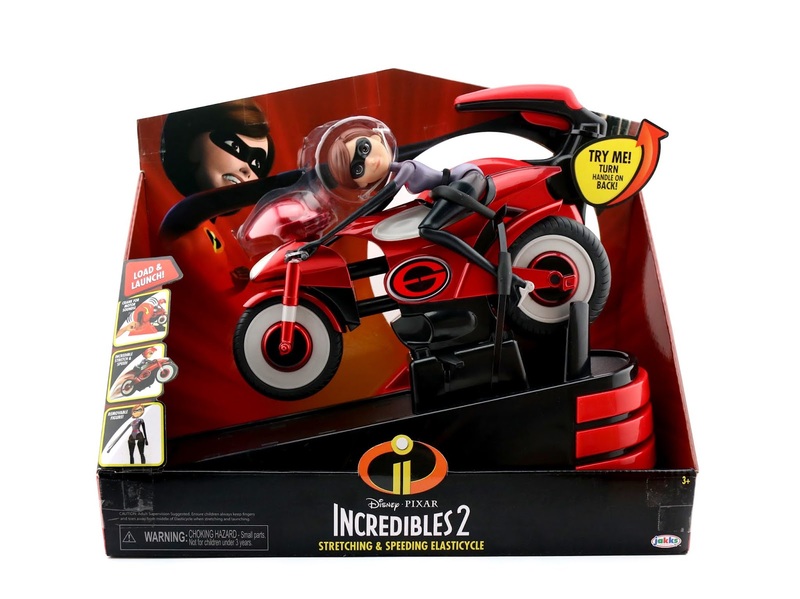 Ever since I saw that first Incredibles 2 trailer, I knew I would need to add some kind of Elasticycle toy to my collection. The design of it is just too awesome and boy did it translate well into toy form! Jakks Pacific did an all around fabulous job with this one. 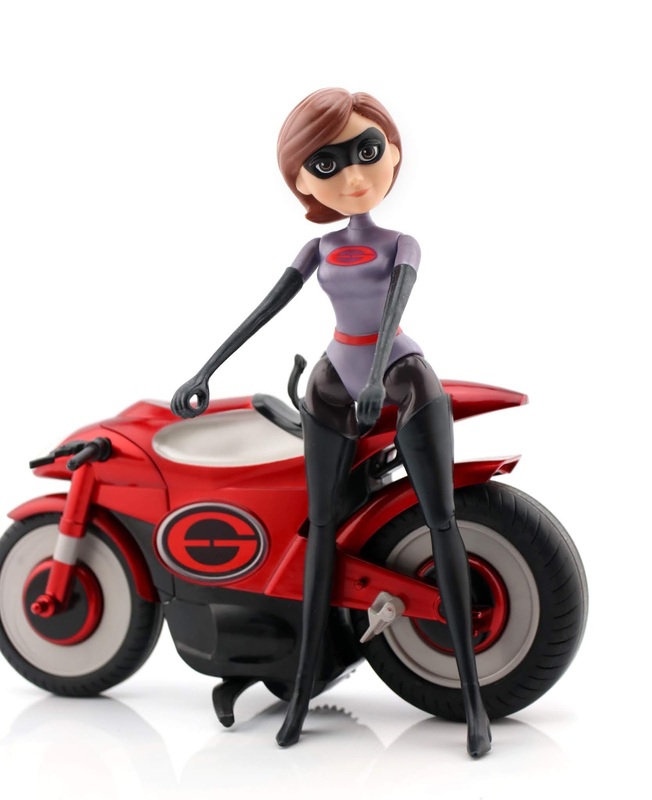 First off I want to mention the design and quality of Elastigirl herself. What a stunning likeness! It's like she jumped right out of the movie screen. The bike is sleek and shiny with an overall cool, futuristic look that anyone would want to ride. Taking the toy out of the package took about five to seven minutes. There was a lot to clip off and remove, but once you get it out it's pretty much all assembled and ready to be played with. No batteries are required. HOW IT WORKS: The way this works is really quite simple. 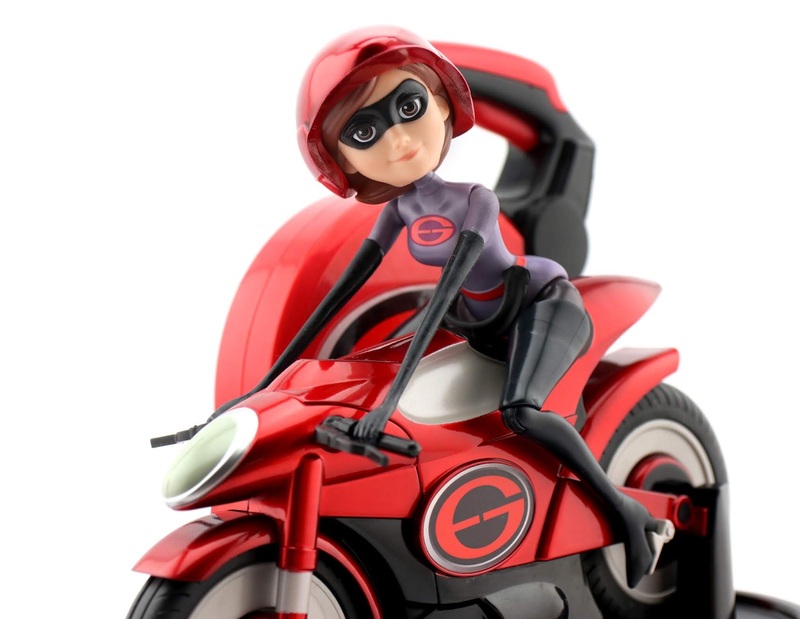 First, you can add the optional removable helmet onto Elastigirl's head. 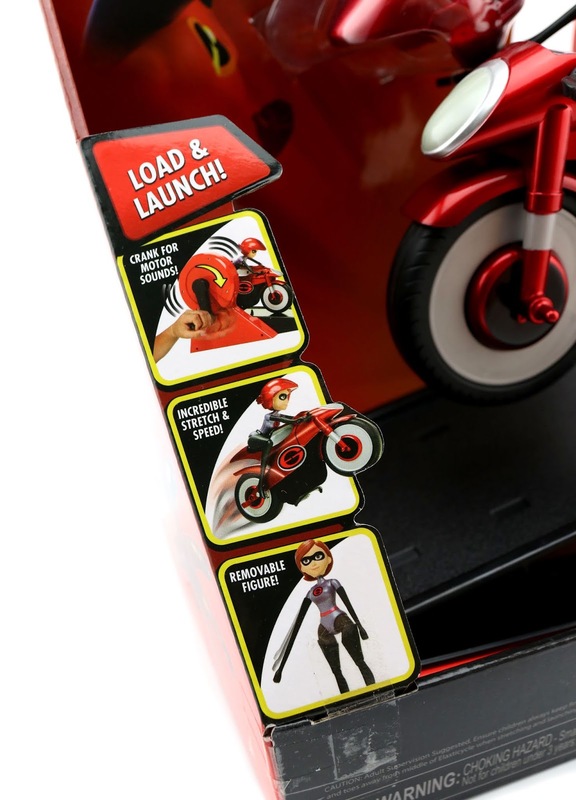 Make sure the figure's waist is connected into the seat's riding clip, that her ankles are connected to the side pegs and pedals and that her hands are grasping the handlebars (should be all good to go right out of the package though). I have to note that I love how secure the figure is—in no way does she even come close to falling off while the cycle is in motion. Align and insert the Elasticycle's back wheel pegs into launcher stand (you'll know they're properly installed if you hear a slight clicking sound). Now hold the launch base steady while cranking the handle clockwise. 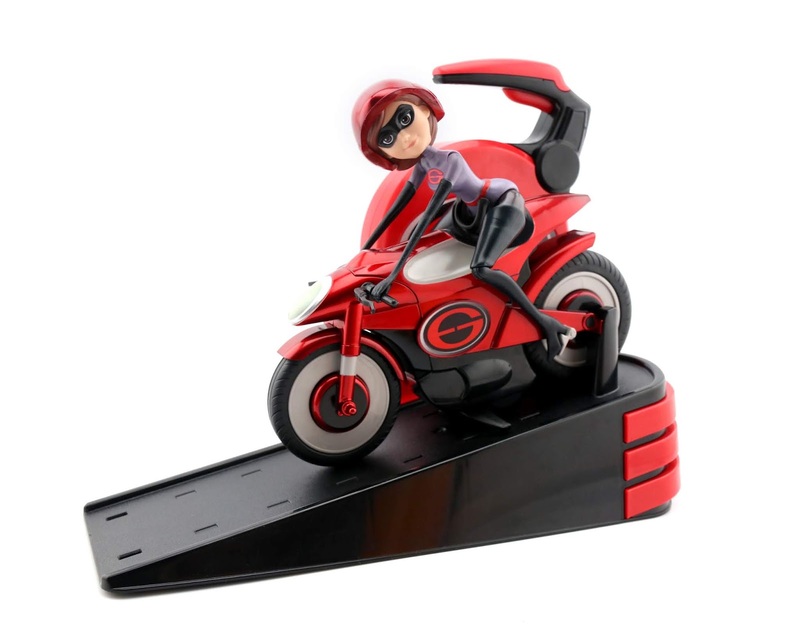 Stop rotating abruptly and that will send Elastigirl and her cycle zooming down the ramp at a pretty high speed! 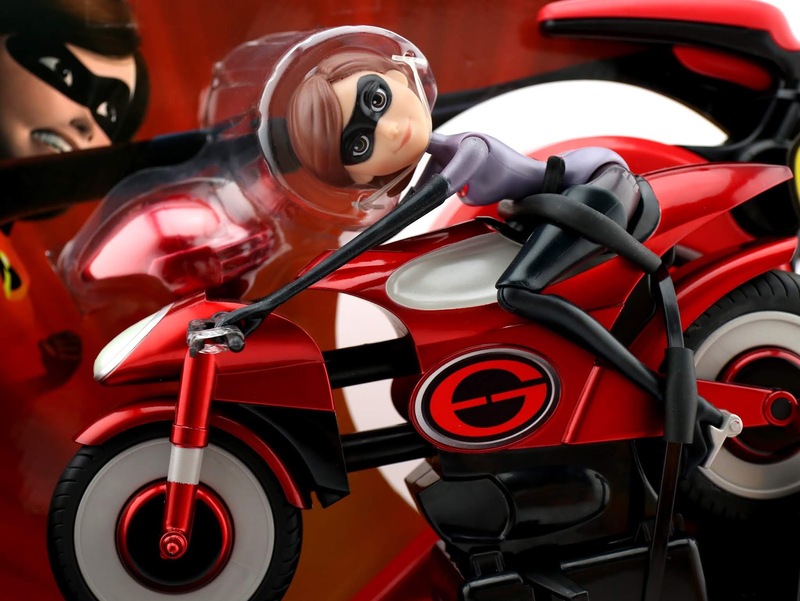 Another detail that's really neat and true the the character is that the front of the bike and Elastigirl's rubbery arms will stretch forward as you crank the handle. I've tested this thing countless times already and have had a blast without any issues! Works like a charm. Best to be used on hard floors though; I've seen some videos featuring this being played with on carpet and it doesn't seem to work as well on there. As far as using this outside, I personally wouldn't (since I wouldn't want it to get scraped up and/or the rubber coated tires worn), but that's completely up to you. Every family has their own way of playing with toys. See it on action HERE in this brief video thanks to TheToyInsider YouTube channel! Just look at this thing! I could not stop taking pictures of this toy. It's very photogenic. SO COOL. And not only does this work well as a toy, but also as a slick display piece. It stands up great on its own. I need more shelf space for my growing Incredibles collection. 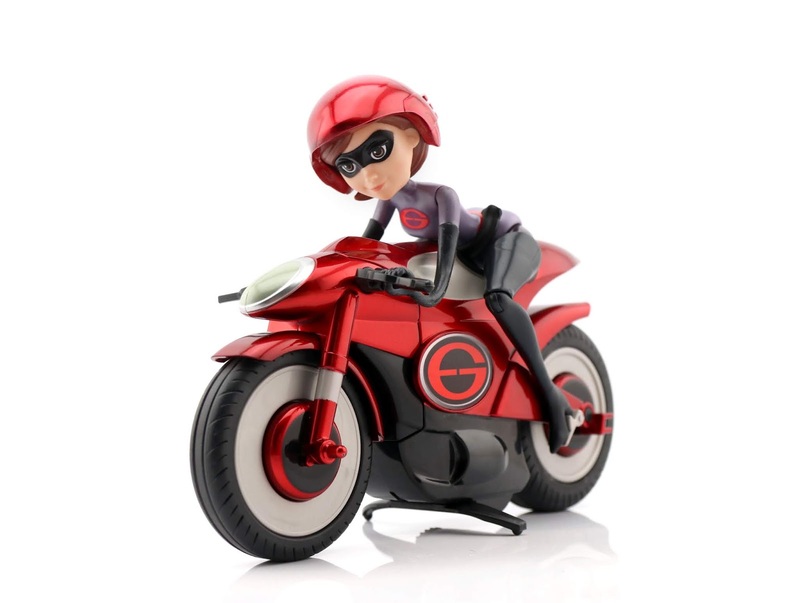 As far as measurements, the cycle is about 9" long and 4.5" tall (7" tall to the top of Elastigirl's head if she's sitting on it). 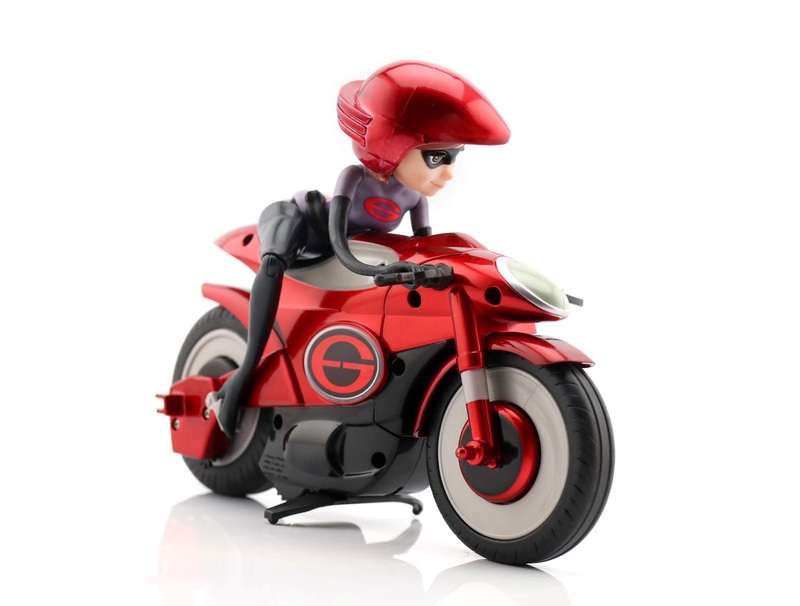 The figure can be removed (though is a bit wonky looking with those arms, since she's really just made to be sitting on the bike and grasping the handles) and is about 8.3" tall when standing. Retail price for this set this is $39.99. You can find it at Target, Walmart or Amazon using the link below. It's also currently on sale for up to 50% off at Toys R Us (big closeout sales are happening across the US), so if you still have one of those near by, definitely check it out. I feel around $20-$25 is a bit more appropriate to spend on this, but it's a super solid toy nonetheless that kids will no doubt have fun with. Let me know your thoughts or any questions you might have down in the comments! Will you be picking this up? If you have already, what has been your experience? I love to hear from you guys. Last but not least, a BIG thanks to Jakks Pacific for sending this over! Look for more reviews from their massive Incredibles 2 line right here soon.